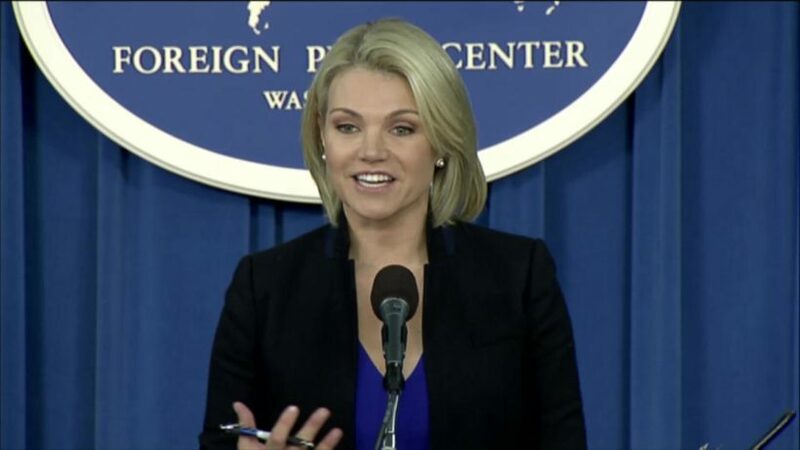 U.S. State Department Spokesperson Heather Nauert (at a November 2017 Foreign Press Center briefing) tweeted on Monday "We have warned Russia of the illicit North Korean coal trading through its ports..."
(by Cristiano Lima, Politico, Jan. 29) – The U.S. State Department warned Russia Monday that “there is no more time for excuses” after it reportedly failed to enforce sanctions restricting exports from North Korea. Responding to reports that North Korea likely shipped coal to South Korea and Japan through Russia last year in violation of United Nations sanctions, State Department spokeswoman Heather Nauert criticized the Kremlin for not upholding international agreements. The U.N. Security Council in August [implemented multiple] sanctions aimed at blocking the North Korean government, led by Kim Jong Un, from conducting further nuclear and ballistic missile tests. Under the sanctions, the U.N. banned coal exports from North Korea, a step toward cutting off the funding Pyongyang uses to carry out its weapons tests. In December, the U.N. Security Council also unanimously approved sanctions that affected the majority of exports of gasoline, diesel and other refined oil products from North Korea. Nauert’s statement comes as President Trump faces a deadline Monday over whether to impose Russian sanctions authorized by Congress. U.S. diplomats have taken a stronger stance toward Russia and President Vladimir Putin in recent weeks, with Secretary of State Rex Tillerson and U.S. Ambassador to the U.N. Nikki Haley both denouncing Russia’s support of Syrian leader Bashar Assad in the face of newly reported chemical weapons attacks in the region. b) What has the U.N. Security council specifically banned North Korea from exporting under sanctions imposed in the past six months? c) What is the goal for the sanctions? d) Under the UN Charter, all 191 Member States (countries) of the United Nations agree to accept and carry out the decisions of the Security Council. Russia is one of the permanent members of the Security Council (which voted to impose the sanctions on North Korea). 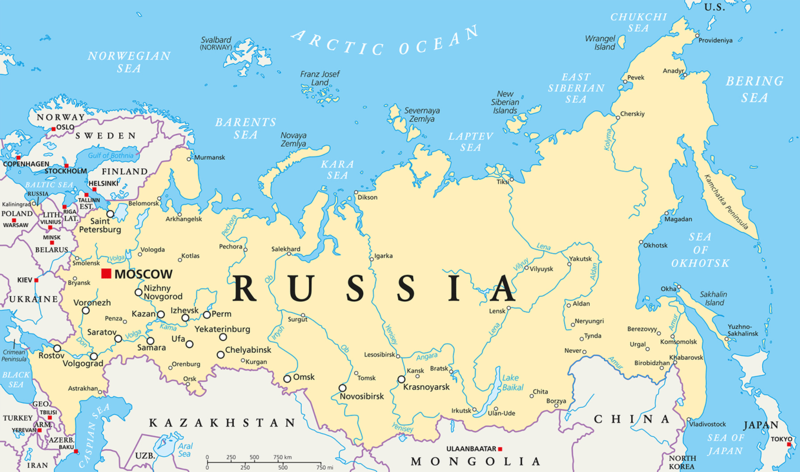 Do you think the U.S. should impose economic sanctions on Russia? Explain your answer. From a Sept. 12, 2017 CNN report: On Monday, September 11, the United Nations Security Council unanimously adopted a US-drafted resolution to impose new sanctions on North Korea — a move that came just one week after the rogue nation carried out its sixth and largest nuclear test. The United Nations Security Council (UNSC) is charged with the maintenance of international peace and security. Its powers, outlined in the United Nations Charter, include the establishment of peacekeeping operations, the establishment of international sanctions, and the authorization of military action. Its powers are exercised through United Nations Security Council Resolutions. Under the UN Charter, all 191 Member States (countries) of the United Nations agree to accept and carry out the decisions of the Security Council. While other organs of the United Nations make recommendations to Governments, the Council alone has the power to make decisions which Member States are obligated under the Charter to carry out.